Freud coined the phrase "narcissism of small differences" in a paper titled "The Taboo of Virginity" that he published in 1917. Referring to earlier work by British anthropologist Ernest Crawley, he said that we reserve our most virulent emotions – aggression, hatred, envy – towards those who resemble us the most. We feel threatened not by the Other with whom we have little in common – but by the "nearly-we", who mirror and reflect us. 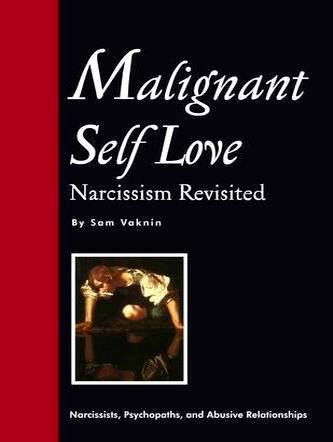 The "nearly-he" imperils the narcissist's selfhood and challenges his uniqueness, perfection, and superiority – the fundaments of the narcissist's sense of self-worth. It provokes in him primitive narcissistic defences and leads him to adopt desperate measures to protect, preserve, and restore his balance. I call it the Gulliver Array of Defence Mechanisms. The very existence of the "nearly-he" constitutes a narcissistic injury. The narcissist feels humiliated, shamed, and embarrassed not to be special after all – and he reacts with envy and aggression towards this source of frustration. But how does the narcissist avoid the realisation that what he loudly decries and derides is actually part of him? By exaggerating, or even dreaming up and creatively inventing, differences between his qualities and conduct and other people's. The more hostile he becomes towards the "nearly-he", the easier it is to distinguish himself from "the Other". To maintain this self-differentiating aggression, the narcissist stokes the fires of hostility by obsessively and vengefully nurturing grudges and hurts (some of them imagined). He dwells on injustice and pain inflicted on him by these stereotypically "bad or unworthy" people. He devalues and dehumanises them and plots revenge to achieve closure. In the process, he indulges in grandiose fantasies, aimed to boost his feelings of omnipotence and magical immunity. Deep inside, the narcissist is continuously subject to a gnawing suspicion that his self-perception as omnipotent, omniscient, and irresistible is flawed, confabulated, and unrealistic. When criticised, the narcissist actually agrees with the critic. In other words, there are only minor differences between the narcissist and his detractors. But this threatens the narcissist's internal cohesion. Hence the wild rage at any hint of disagreement, resistance, or debate. "(T)he degree of genealogical relatedness between populations has a positive effect on their conflict propensities because more closely related populations, on average, tend to interact more and develop more disputes over sets of common issues ... (P)opulations that are genetically closer are more prone to go to war with each other, even after controlling for a wide set of measures of geographic distance and other factors that affect conflict, including measures of trade and democracy."